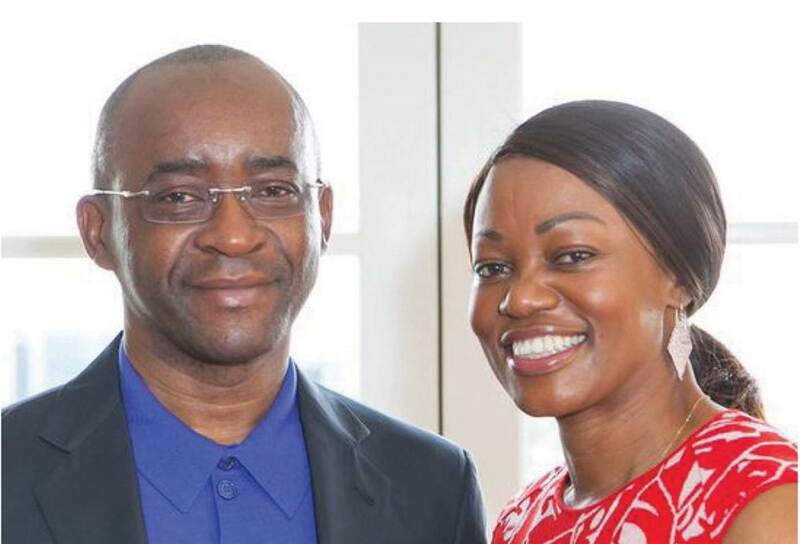 Home » Social Media » Was Tsitsi Masiyiwa Really Bullied On Twitter? 2019 has started with a bang already and it’s no surprise that the drama is coming from Twitter. Strive Masiyiwa and his wife Tsitsi quit Twitter because they felt there was cyberbullying being directed towards Tsitsi. … I would like to thank all those friends like Trevor Ncube, who have stood up for my wife whilst she was being cyber bullied, shouted down and stalked on platforms like Twitter. The T in Twitter stands for Toxic? Twitter does have a reputation for constantly bringing out the darker side of social media. Last year (it feels weird calling 2018 last year but here we are) the President’s spokesperson George Charamba deleted his Twitter account owing to abuse but then he later claimed that he never had an account to begin with so we don’t know for fact if it was him on the platform. Trevor Ncube (head of Alpha House Media) and Energy Mudoti (the Deputy Minister of Information) also had a pretty charged interaction on Twitter following an incident including AMH’s price increase for their newspapers. Cyber-bullying is not unique to Twitter but it does seem that Twitter brings out the worst in people more often compared to other platforms and this has been an on-going discussion for a number of years now. Even in the other parts of the world we see celebrities leave Twitter because of cyber-bullying so it comes as no surprise to see similar behaviour from Zimbabwean personalities. Will this give the government an excuse for restrictive cyber laws? The government has been looking into putting in place some cyber laws for a while now and they have been threatening to be very strict for a while now because of people’s behaviour online. I’m not too surprised that this is the position that the government is taking because at the end of the day it seems the gloves are off when people are online and all respect is thrown out of the window. The United Kingdom is also looking to enforce laws in relation to cyber-bullying. The Zimbabwean Minister of Home Affairs already noted that there is a disease of attacking other people on social media whilst calling for strict regulation. Other ministers have done so as well so it’s clear the government is exhausted by social media and I will be surprised if whatever turns into the law is in any way relaxed. I can see how the government and a lot more people might welcome strict laws because the extremely popular Strive Masiyiwa has spoken out against cyber bulling. The government might use the popular businessman as a buffer to soften the blow of whatever regulation ends up in place. Titans for freedom of speech in Zimbabwe might be in for a troubling 2019 if what the government has said before is an indicator of what’s to come. How will they restrict it when most of us use false id’s anyway. Strive is just being a cry baby; his wife had been insulting us thinking that their riches gave them a free pass. What’s good for the goose is good for the Gander. The real issue is these people are used to being treated like gods. This is the first time they have had their opinions rejected by the general public. There was no cyber bullying here. Trevor Ncube gets worse treatment on Twitter, but because society never treated him like a god, he gets that not everyone will ever agree with your opinion just like not everyone will agree with my comment. I have so many questions but sadly they may never get answered. 1. Is it cyberbullying if people just don’t agree with your opinions, they are just reacting and discussions can get heated. 2. Why oh why is Strive Masiyiwa telling us he donated Millions to Zimbabwe? What relevance does it have to the Twitter discussions. Because you donated 10 million we should’nt disagree with you? If I had 10 million, i’d give him back cause you don’t do a good deed and then proclaim it to the masses. Cyber bullying is a thing. Its ugly but it is simply an example of how social media amplifies both the good and bad facets of human interaction. The thing is, one should learn to discriminate between a difference of opinion and bullying. Tsitsi made a tone deaf inflammatory statement and it predictably got a strong response. Seeing some hidden agenda in that is just another example of how far removed she is from the struggling zimbabweans experience. I haven’t really followed the whole hullabaloo to also form a firm opinion on whether Tsitsi was cyberbullied or not. I do know though that I stopped following her a long time ago out of respect for her and myself because as Patterson aptly put she does tend to speak from a place of privilege, not empathy or understanding. Often I came across her dispensing Ill thought out opinions about issues that she doesn’t fully understand that can leave one incensed. But I guess that’s the privilege of her position in society. Many people with, fame, money and power do tend to think they are the gurus of every subject under the sun and have earned the right to be always mouthing off. Exactly, she doesn’t know the struggle in the streets, that’s why she streets as such. The other day on Twitter, some idiot was saying things are super cheap in Zim(which is true if you have any forex and you convert it to Bond). The problem with such statements is althought true, they incense anyone earning in Bond because stuff is expensive in Bond. Same thing with Tsitsi, when she said Zimbabweans are lazy, she wasn’t lying(Well, some of us are indeed lazy), but she is not the right person to say such things because she is in a position of privilege. There are people who are on the gring from 4:30 A.M to 10 P.M daily, she disrespected those people. You might need to correct the Deputy Minister of Information’s surname, its Mutodi not Mudoti. Just a minor typo. “Charamba deleted his account but we don’t know if it’s Charamba”. Do you guys take yourselves seriously? A week in journalism school would do you good. It’s funny how when Someone says something the rich don’t like all of a sudden they rush to take offense. Has Tsitsi forgotten how at one time she posted a tweet saying Zimbabweans were lazy and that the just want to watch football. Then she tweeted the best day using the Bible that The lazy one must look at the lazy one ….. now where such comments called for??? And if they had any valid basis where they factual or in a sense Tsitsi is just another cyber bully who is worshiped by those her and her husband employ ?? Perhaps it’s better they got off social media to save face and the legacy they had built ..